On Monday 4 June during the Queen’s Diamond Jubilee weekend, Team GB will run a major fundraiser in Finsbury Park, London, hosted by the London Mets. The day will include a firewalk event at 1 p.m. where people over the age of 14 can raise money for the National Team programme by being sponsored to walk over hot coals. There is also a 5K sponsored run to take part in, alongside exhibition games including GB teams, all supported by on-site catering. It should be a great day and a fantastic way to show your support for Great Britain baseball during an exciting year of international competition for our players at all age groups. Further details can be found on the BBF website. The Herts Falcons’ return to the top of the NBL lasted only one week, demonstrating just how competitive the top-tier of British baseball is this season. The Harlow Nationals (10-3) are in first place again after they swept their two games against the Bracknell Blazers (1-9) on Sunday, while the Falcons (9-3) could only manage a split against the Essex Arrows (7-7). Herts took the opener 12-7 with Kevin Niedringhaus and Dave Tretheway both hitting home runs in the victory. However, the Arrows hit back in the second game with a four-run first inning that sent them on the way to a 10-2 lead after the top of the fourth. The Falcons fought their way back into the game, but the Arrows responded to the increasing pressure by adding on three further runs in the top of the seventh and despite conceding two in the bottom of the frame, they held on for a 13-9 win. The Blazers came close to pulling off an upset at Westmoreland Park when they pushed the reigning champion Nationals all the way, only to narrowly come up short 2-1 in what sounds like a classic top-tier contest. Harlow were stung into life and with Great Britain youngster Jamie Ratcliff on the mound they took the second game by a slightly more comfortable margin of 11-4, against a developing Blazers’ team, to book their place back on top of the NBL. Recent results suggest the Nationals are going to have to play very well to stay there for any notable period of time. This weekend’s NBL action starts with a rare Saturday double-header in Croydon between the Southampton Mustangs and Croydon Pirates. On Sunday, the London Mets take on the Lakenheath Diamondbacks, while Grovehill Ballpark in Hemel Hempstead will stage the latest three-game feast of baseball including the Falcons, Blazers and GB Junior Team. Like a lottery prize that keeps rolling over, or perhaps the increasing total on offer as those BBC2 Eggheads smugly dismiss the latest team of challengers, the prize of beating the Liverpool Trojans becomes ever more prestigious as each week passes. The Trojans made it ten wins from ten on Sunday as pitchers Martin Godsall and Rob Vondy once again combined to get the better of the Halton Jaguars (3-7) by scores of 12-2 and 15-2. The Menwith Hill Patriots (7-3) are the next team to get a crack at ending Liverpool’s seemingly unending run of wins. The Patriots stayed in second place after splitting a double-header with the Manchester A’s (2-6) on Sunday, whilst the Cartmel Valley Lions (6-4) consigned the Bolton Robots of Doom to an 0-8 record with a double-header sweep. In the South, the Essex Redbacks’ Vince Warner pitched a no-hitter as his team took two wins against the Richmond Knights to continue their strong start to the season. The Redbacks own the best record in the division at 11-3, closely followed by the Bristol Badgers on 9-4. The Badgers collected their latest two wins at the expense of the Cambridge Royals, who subsequently slipped two games below .500. The action in the AA-South, covered brilliantly by Michael Jones on the BBF website, saw the Guildford Mavericks maintain their unbeaten record with a 14-4 victory over the London Mammoths, whilst the Poole Piranhas’ pursuit of perfection was poleaxed by the streaking Sidewinders, who made it four consecutive wins with a 6-0 triumph. The Mavericks will put their unbeaten run on the line with two home games against the Croydon Pirates III on Sunday, with the Herts Hawks hosting the Essex Redbacks II, and the London Mammoths hoping to get back on track with a double-header at Finsbury Park against the Kent Mariners. In the Midlands, the Nottingham Rebels improved to 5-0 with an 18-0 victory over the Stourbridge Titans. 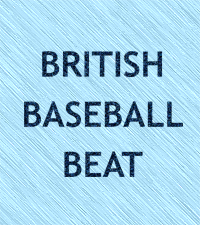 The Leicester Blue Sox returned to form by securing a 10-6 win against the Birmingham Maple Leafs, with seventeen year old Great Britain Junior Ben Powell pitching five solid innings on his debut. In the North, the Oldham North Stars earned their first win of the season during a split against the Hull Scorpions. The Harrogate Tigers picked up two home wins against the Manchester Torrent to make it six victories from their last eight games. There are no league games in the North this Sunday, but the Newton Aycliffe Spartans are hosting a family fun day with an intra-squad game and plenty of other festivities. The Essex Archers defeated the Guildford Mavericks II 23-7 to continue to set the pace in Single-A. The Archers are 5-0, closely followed by the London Marauders on 3-0. The Marauders gained their latest victory in short fashion by the way of a ‘10 run mercy rule’, despite the Herts Raptors’ best efforts to send the game into at least one further inning. Hot off the press, there is talk of a Midlands Div All Star team going down to Finsbury Park this weekend to join in the festivities.The team will feature NBL/AAA standard players who don’t have the week-to-week opportunity to play at that level due to their location. A similar team of “Barnstorming Midlanders” are also eyeing up this year’s London Tournament, so they can again hang with the big boys! Thanks for the good press, Matt! Anyone and everyone can support Team GB by coming down to Finsbury Park on Monday. We’ll have all-star games played vs. the various GB squads, catering and a bar on site, cool equipment and merch on sale, raffle prizes to be won and a home run derby! All proceeds go to the GB national teams. God bless the Queen and go Lions!